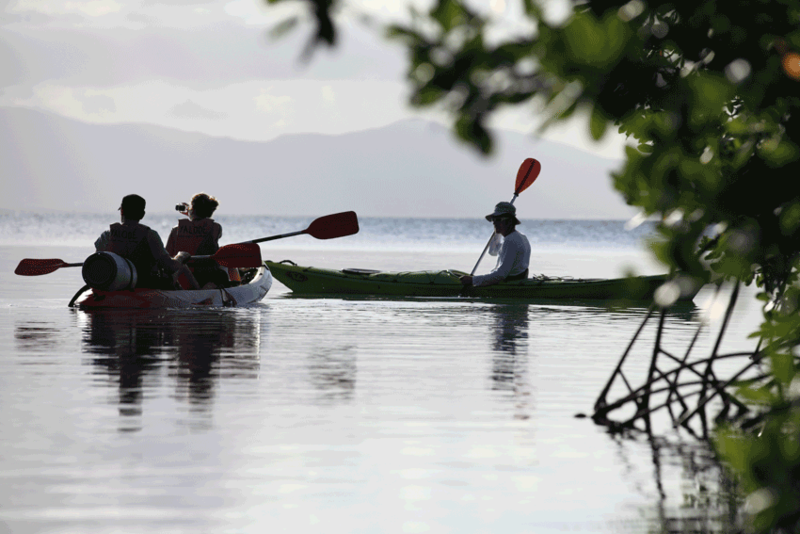 - Get to know the legends and tales (a new experience in kayaking). 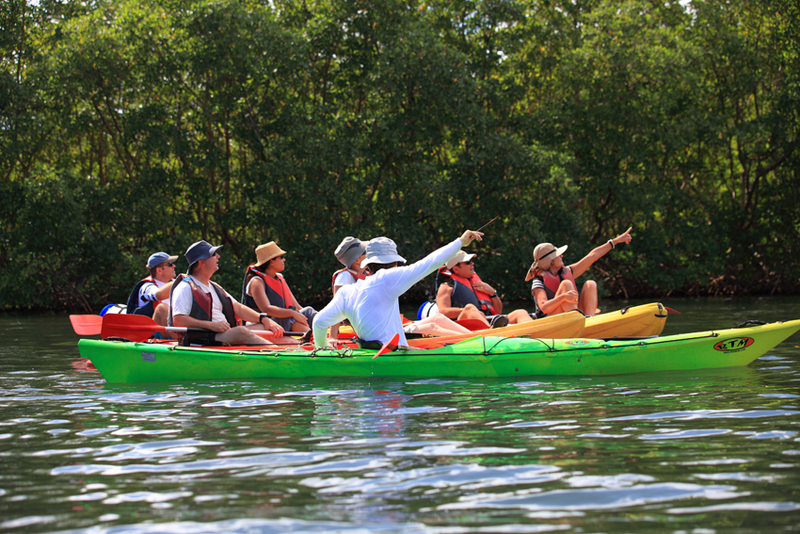 - Navigate in the heart of the mangrove and get access to the coral islets. 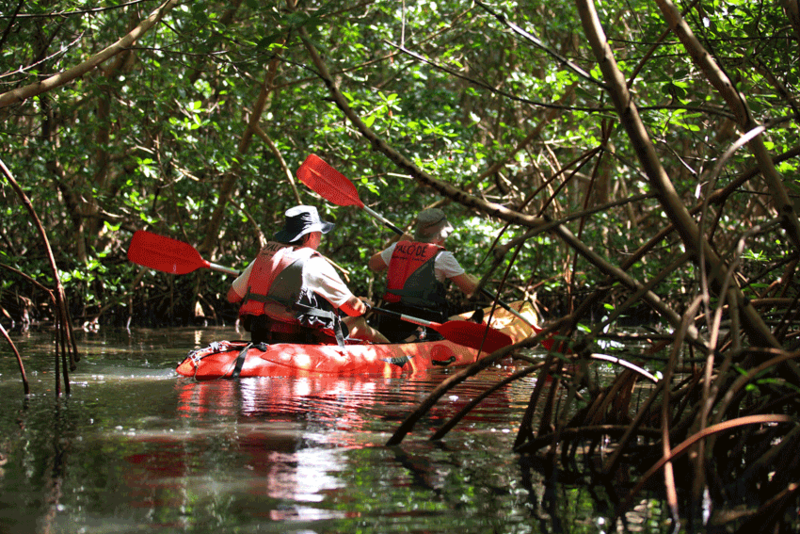 - Contemplate and discover the wildlife with a naturalist guide. Departure: for the sunset experience: 3:30 p.m.
A three hour trip plus one hour for getting started and refreshments at the end. 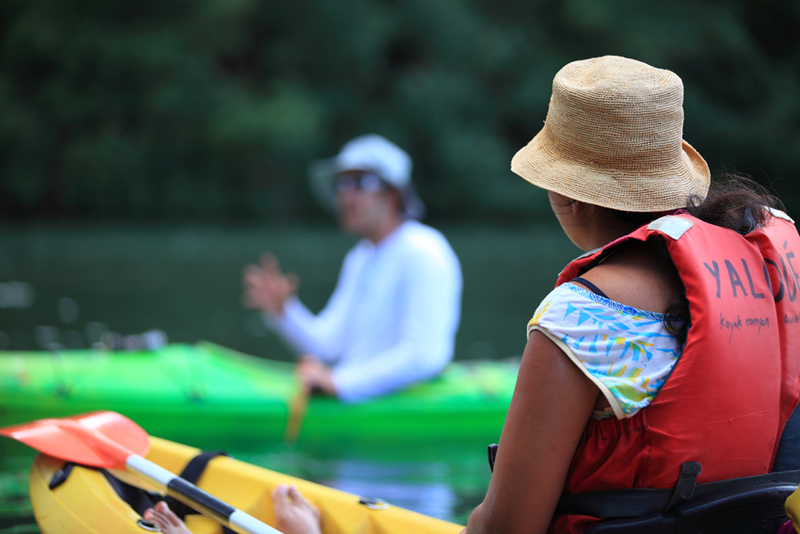 Yalodé provides: comfortable kayaks with ergonomic backrests + paddles + lifejackets + containers + eco friendly tasting.